Herbert Thornbury has decades of experience helping the victims of serious personal injuries. These catastrophic injuries can devastate a life – they make it difficult to work, earn a living and even go about your daily life. And we have seen too many Chattanooga-area clients who've suffered one of the most severe injuries possible – burn injuries. We have seen time and time again how these burn injuries can affect their victims. We've witnessed the pain and suffering that the victims endure. We can't go back in time and prevent the injury from happening. But our burn injury attorney can be there for you in this difficult time, fight for you and help you pursue the justice and compensation you deserve. If you need an experienced burn injury attorney in the Chattanooga, Tennessee area, please call Herbert Thornbury, Attorney at Law today at 423-443-3973 for a free consultation. Every case is unique, and so is every burn injury. These injuries can range in severity from a relatively minor (but still painful) first degree burn to a catastrophic third degree burn that penetrates all levels of the skin, char skin tissue and even burn away nerve endings. As you can probably guess, third degree injuries are particularly devastating, and when these burns are spread over multiple parts of the body, these injuries can make day-to-day life nearly impossible. And the tragic reality is that a medical catastrophe is also a financial catastrophe. Serious burn injuries can be treated, and quite effectively, but these treatments are not cheap. They are, in fact, so expensive that they are often beyond the reach of even solidly employed victims with good insurance. It doesn't take long for these costs to add up. 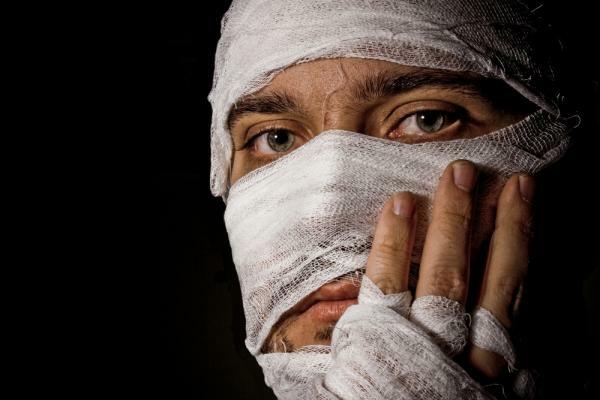 Having our experienced burn injury attorney on your side will help immeasurably. Mr. Thornbury will help you pursue compensation for medical expenses, lost wages and pain and suffering. There are no guarantees in personal injury law, but we can promise you that Mr. Thornbury will never relent in fighting for the justice and compensation you deserve. Mr. Thornbury will thoroughly and professionally investigate your accident in order to find its true cause. He will negotiate with the insurance companies on your behalf and ensure your rights are protected. He will work hard for you in settlement negotiations. And if your case goes to trial, you can count on Mr. Thornbury's decades of experience in difficult, complicated cases fighting for people like you. If you have suffered a catastrophic burn injury in the Chattanooga, Tennessee area, our attorney wants to hear your story. Please call Herbert Thornbury, Attorney at Law today at 423-443-3973 for a free consultation.